Legal tech cannot be called what it is without the “technology” component. Understanding the technical part of legal tech, such as programming languages, is a key skill. While it is not essential to be able to code to understand legal tech, it is a direct way of appreciating the fundamental building blocks of this field. Today, picking up a programming language has never been easier, or more convenient. With an range of online courses for popular languages like Python or R, there is a course available for most skill levels. While at first glance the names of programming languages may seem technical, they are at their core simply variations of each other, with different syntax, grammar rules and vocabulary. However different they may first appear, the differences between languages can be likened to the differences in languages like French, Spanish or English. Just as it is easy to pick up Spanish after learning English (as both languages share the same alphabet and other linguistic characteristics), learning Python would put one in a better position to learn a more advanced programming language like R (commonly used in data analytics). After learning a programming language, one can take up further courses in areas like data visualisation or natural language processing. These courses teach methodologies that use certain programming languages to solve real-life problems. For example, in data analysis and visualisation, the programming language R (or sometimes Python) is used to analyse data and present them in easily visible ways. This is closely linked to the concept of big data, as we use these methodologies learnt to make the data “meaningful” and thus be able to use it for other purposes. Hence, there are low barriers of entry into computing by picking up programming languages like Python or R.
(c) AI For Industry (also known as “AI4I“) – a programme spearheaded by AI Singapore and subsidised by the Infocomm Media Development Authority to train members of the public to be proficient in coding for AI. For the prospective undergraduate, there are a number of ways to develop both legal and technological skills in school. For example, the Singapore Management University (“SMU“) recently introduced the 4-year Bachelor of Science (Computing & Law) Degree that covers the essentials of both computing and law. While completing the degree does not allow one to practice law, the degree provides a fast-tracked path into the SMU Juris Doctor program (which allows its graduates to practice law). 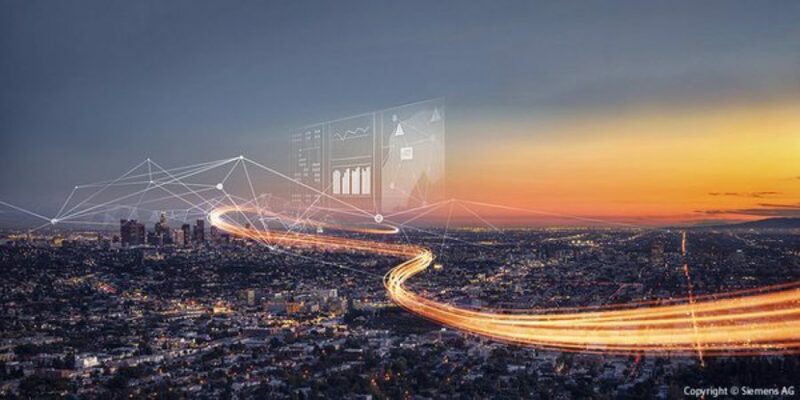 This course is thus ideal for those considering a specialised pathway into the intersection of law and technology, and to be an effective player in both fields. Alternatively, existing SMU law students can already choose from a range of technology-related modules, including IT and the Law, the Law of Cybercrime and Digital Investigations, and Legal Issues in E-Commerce. National University of Singapore (“NUS“) law students are able to take elective modules such as IT Law and Artificial Intelligence or Information Science and Law (which focuses on understanding and applying natural language processing, machine learning and data mining technology). Current students can also opt to do a Law degree with a minor from the Faculty of Computing. Prospective students may also consider the Double Degree Program in Liberal Arts and Law at Yale-NUS and NUS Law, which allows students to major in programming-related fields such as Mathematics and Computational Sciences while graduating with a law degree that allows admission into the Singapore Bar. There is a wide range of legal tech activities available for students to participate in. These events range from major legal tech conferences and hackathons to which Singapore plays host, to participating in local university clubs. Joining such activities brings several benefits. First, they provide great opportunities to meet more experienced people and organisations in the legal tech space. Second, they generally involve relatively low levels of commitment (save perhaps for joining a university club). Third, they provide direct knowledge on legal tech products and the legal tech industry. 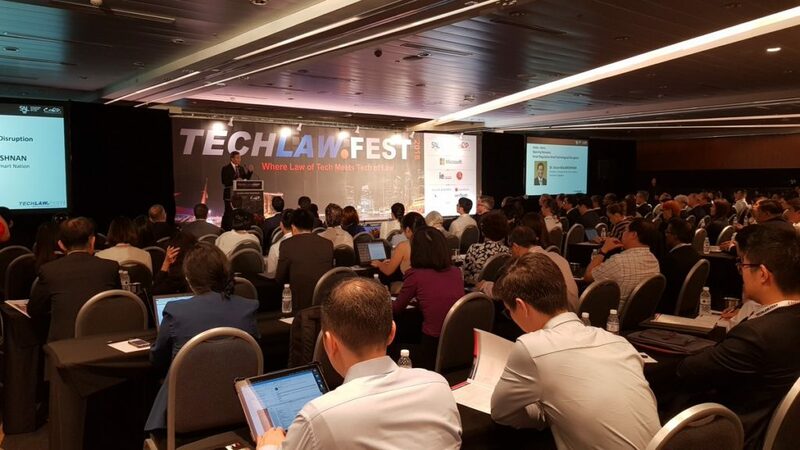 In April 2018, the Singapore Academy of Law (“SAL“) organised the inaugural edition of TechLaw.Fest 2018 (for which LawTech.Asia was an official media partner). The conference brought together over 1,000 legal professionals, technologists, entrepreneurs and regulators, and featured talks and panels that covered the twin halves of technology: (a) the Tech of Law, which explores legal tech and its impact on legal practice, and (b) the Law of Tech, which tackled legal and regulatory issues arising in emerging technologies. The conference also included an exhibition featuring legal tech vendors from Singapore and the region, as well as a hackathon on the topic of personal data protection. LawTech.Asia’s summary of the event can be found here. TechLaw.Fest 2019 is likely to be held in the latter half of this year, and is a great opportunity to begin one’s foray into the legal tech space. While participants new to the legal tech industry may feel overwhelmed by the amount of information made available during such conferences, one can always simply attend talks that one may already have some knowledge or interest on, before expanding to other topics. The Global Legal Hackathon (“GLH“) is an international hackathon, where participants develop tech solutions to address pressing issues faced by the global legal profession. Billed as “the Olympics of legal tech hackathons”, two national rounds have already been held in Singapore (in 2018 and 2019). In fact, in 2018, local start-up Regall won the national round and went on to compete as a finalist in the Global Rounds in New York later that year. 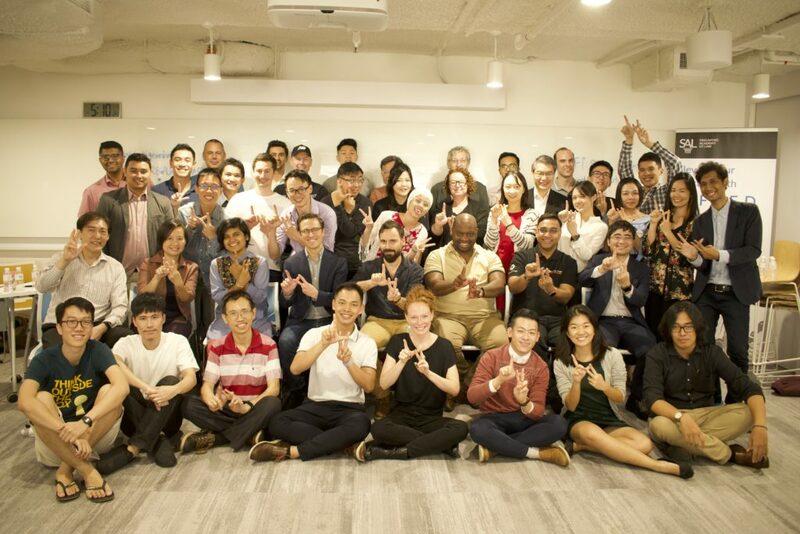 In September 2018, the NUS-Law WongPartnership LegalTech Competition took place. Organised by NUS’ Alt+Law and WongPartnership LLP, the objective of the competition was to create legal tech solutions to increase access to legal access to vulnerable sections of the society. The first edition saw the participation of 64 students across 5 years and from 6 different faculties. The inaugural LIT Hackathon was held in February 2019. It was organised by SMU’s Legal Innovation and Technology student club (“LIT“), together with SAL and Rajah & Tann Technologies. Students from both legal and computing backgrounds came together for over 36 hours to tackle legal industry problem statements curated by SAL. More information on these hackathons and hackathons in general can be found in LawTech.Asia’s thought piece on hackathons here. Legal Hackers is a global grassroots community seeking to foster creative problem-solving at the intersection of law and tech. Started in New York in 2012, it has since grown to over 120 chapters (including Singapore) in 6 continents, with thousands of members and hundreds of chapter organizers. Legal Hackers is an “open culture” movement, guided by the “hacker ethic” of accessibility, openness, sharing and play, and welcomes any individual interested in the intersection of law and technology to join. Some recent events organised by Legal Hackers include the Computational Law and Blockchain Fest (also organised in Singapore). In November 2018, representatives of the Asia Pacific Chapters of Legal Hackers gathered in Singapore for the Legal Hackers Asia-Pacific Summit. Co-organised by LawTech.Asia, Legal Hackers Singapore and the Singapore Academy of Law, the Summit fostered dialogue and conversation between various Legal Hackers chapters, and included a public conference on AI, legal tech and legal innovation. LawTech.Asia’s coverage of the Summit can be found here. Joining a local university club may be another accessible way of engaging with legal tech on a more frequent basis. In SMU’s School of Law, students can join the LIT sub-club. NUS will also officially be establishing a legal tech sub-club under the name Alt+Law in 2019. These legal tech student clubs usually organise activities such as talks and panels on legal tech, coding classes and hackathons. Writing can be a direct way to gain access to the world of legal tech. The process of writing – research, meeting people and drafting – allows one to think through legal tech in depth, thus allowing one to better value-add to the community. In this regard, publications like LawTech.Asia and academic journals offer sound platforms to begin writing. As a publication focused on building thought leadership at the intersection of law and technology, LawTech.Asia recently published a comprehensive piece on the history and current state of the local legal tech industry. This article, which provides easy-to-access yet credible information on legal tech in Singapore, can be found here. With regard to full academic publications, reputable US law schools such as Stanford University and Harvard run respected academic publications focused on thought leadership in legal tech. For instance, the Stanford Technology Law Review publishes on legal issues such as the anonymisation of big data, the rights afforded to artificial intelligence systems, and the regulation of new online business models. As some of these academic journals also accept submissions from practitioners and students, they provide opportunities for one to develop knowledge and be recognised by the wider legal tech community. On a related note, in April 2019, SMU and SAL’s Future Law Innovation Programme launched a Report on the State of Legal Innovation in the Asia Pacific. The Report was announced at the Stanford University’s CodeX FutureLaw Conference 2019, and aims to be an authoritative industry reference on legal innovation in the Asia Pacific that comprehensively surveys jurisdictions like Australia, China, Korea, Malaysia, Russia and Singapore. Today, legal tech is no longer thought of as an esoteric cousin of legal practice. As part of the mainstream discourse about the legal industry, learning about it is increasingly a necessity for future legal eagles. Legal tech is no longer thought of as an esoteric cousin of legal practice. As part of the mainstream discourse about the legal industry, learning about it is increasingly a necessity for future legal eagles. While the field may first appear technical and require a steep learning curve, taking incremental and consistent steps will go a long way. As shown, opportunities are available for the uninitiated to better understand the future of the practice. To that end, LawTech.Asia welcomes students (and professionals) to journey with us into the legal industry of the future.